Studio(s): Big Film Factory, Film Incito, Red Entertainment Group, All Entertainment. Cast: Benjamin Onyango (William Mwizerwa), Scott William Winters (Randy Hartley), Emily Hahn (Andrea Hartley), Eric Roberts, Jessica Obilom (Aimee Mwizerwa), Caitlin Nicol-Thomas (Darla Hartley), Alan Powell (G. David Anderson), Eugene Khumbanyiwa (Augustine). 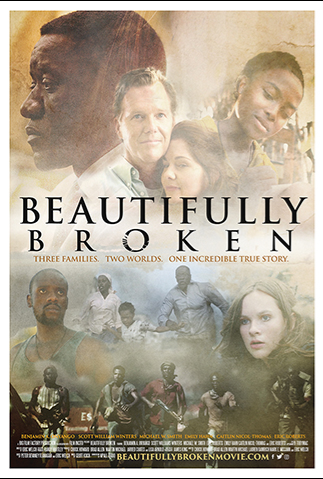 Story: The film is about a refugee’s escape, a prisoner’s promise, and a daughter’s painful secret converge in this inspiring true story of hope. As three fathers fight to save their families, their lives become intertwined in an unlikely journey across the globe, where they learn the healing power of forgiveness and reconciliation. Source: Deadline.